For the first few years of her career, Lucy Pettitt-Schieber was one of only several women – and the sole female engineer – working and living on one of the oil rigs operated by BP in the Gulf of Mexico. After earning her BS from Georgia Tech’s School of Chemical & Biomolecular Engineering (ChBE) in December 2012, she started as a well intervention engineer with BP the following year, executing operations on the rig to help fix issues with any of the wells in the Gulf of Mexico. After he interrupted his studies at Georgia Tech to serve in World War II, Jim Tucker (ChE 1947-Co-op) opted to train in the U.S. Army’s bomb disposal program, learning the design of German, Japanese, Allied, and U.S. bomb fuses, and how to identify them by touch. 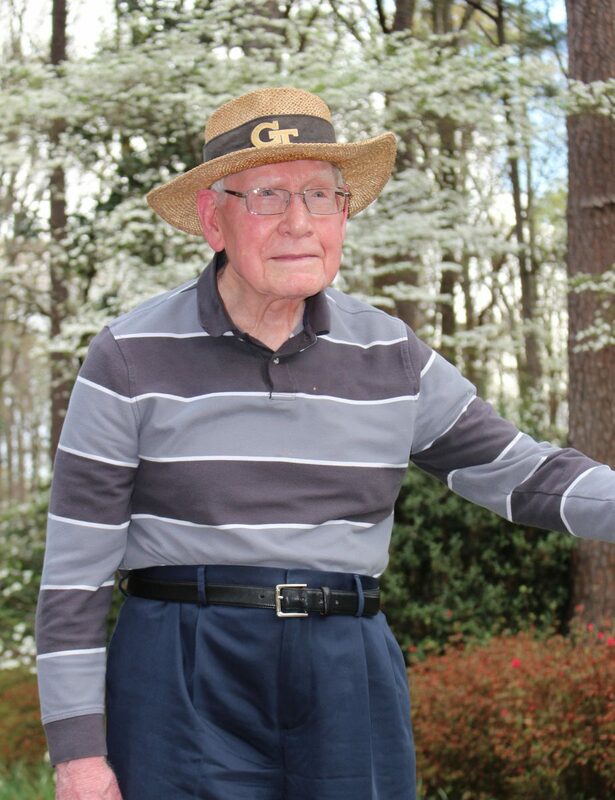 Today, at age 95, Tucker is one of two surviving members of the “Co-op Boys,” a group of his classmates in metro Atlanta who were called for duty after enrolling at Tech in 1939 and 1940. Tucker and fellow alumnus/veteran James Ivey still meet for lunch every other month with Marilyn Somers, director of Georgia Tech’s Living History Program. “Our group discussions have allowed me to recall memories long stored and forgotten,” he says. Tucker knew he’d be called for duty as soon as the Japanese bombed Pearl Harbor at the end of the first quarter of his sophomore year. Though he hoped he could wait until after graduating with his chemical engineering degree, he was called to active duty in April 1943. When he selected the bomb disposal specialty, he learned it had a saying – “You go up fast!” – with a double meaning: Your military career could blow up with promotions, or you could from mistakes. The bomb-disposal techniques he learned had been developed by the British Royal Engineers, who lost 360 of the 400 men initially assigned to this trial and error project. With more than 20,000 alumni of the School of Chemical & Biomolecular Engineering, we know that there's a lot of exciting news out there. Career advancements. Business successes. Research breakthroughs. Additional degrees. Awards. What's yours? Did you recently accept a promotion or assume a new leadership position in your industry? Tell us about it! Did you pursue an unusual career path after you left AE? Let us do a profile! 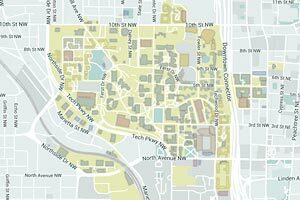 Did you host an ChBE student as an intern or a co-op? Send your photos! Is ChBE having an impact in your industry? Let us know! Did you publish something in a technical or trade journal? Send us a link! Did you recently receive an award or special recognition from your professional peers? Tell us about it! 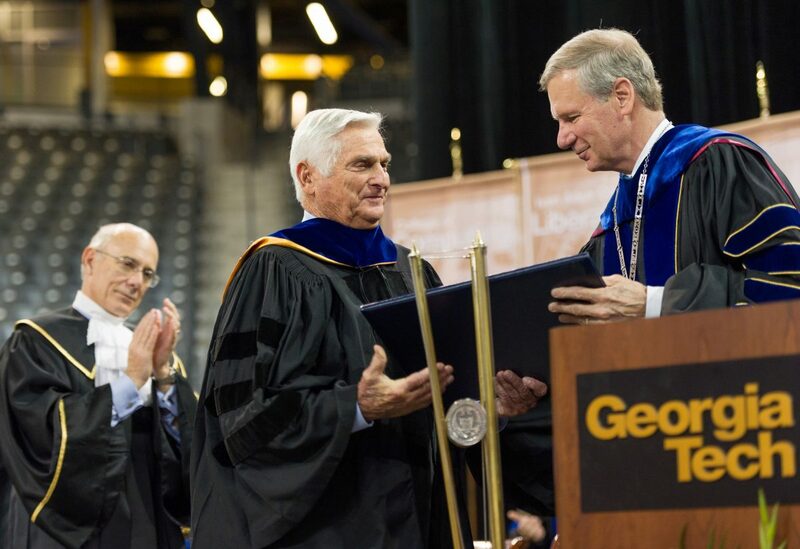 At the May 2017 doctoral and master’s Commencement ceremony, Georgia Tech awarded an honorary doctor of philosophy degree to John H. Burson III, ChE 1956, MS MET 1963, Ph.D. ChE 1964. This is the highest honor that can be bestowed by the Institute. The embodiment of a 21stcentury Renaissance man, Burson is a physician, a former Georgia Tech professor, a military veteran, an involved community citizen of his hometown (Carrollton, Georgia), an enthusiastic volunteer, and a generous philanthropist. A retired Lieutenant Colonel in the U.S. Army, Burson served in the Army Reserves for 30 years. At the age of 70, Burson asked that he be returned to active duty, and he was deployed in Iraq for three tours in 2005, 2006, and 2007, and in Afghanistan in 2009 and 2011 as part of the military’s “Boots on the Ground Physician’s Program.” He earned combat medical badges and commendation medals. Burson, who earned his medical degree from Emory, has had a distinguished medical career that includes service as chief of staff and chairman of the board of trustees for Tanner Medical Center from 1994-2012, an active member of the Tanner Urgent Care Clinic staff, and a self-employed physician at the Villa Rica Ear, Nose, and Throat Clinic. He is a licensed diplomat of the National Board of Medical Examiners, a fellow of the American Board of Otolaryngology–Head & Neck Surgery, and a fellow of the American College of Surgeons. He is also a professional engineer licensed in Georgia, Pennsylvania, and California. In the academic arena, Burson was an associate professor and adjunct professor in chemical engineering at Georgia Tech from 1959-1975, an assistant professor at Emory University School of Medicine, and a principal research engineer at the Georgia Tech Research Institute’s predecessor institution from 1959-1975. He received the Regents Award from the University System of Georgia Board of Regents in 2015. He has made extensive philanthropic contributions to Tech through the years. Keisha Wilson Tanner has rarely feared moving outside of her comfort zone – from volunteering for unfamiliar career opportunities to living for a year on an oil-and-gas production/drilling platform. 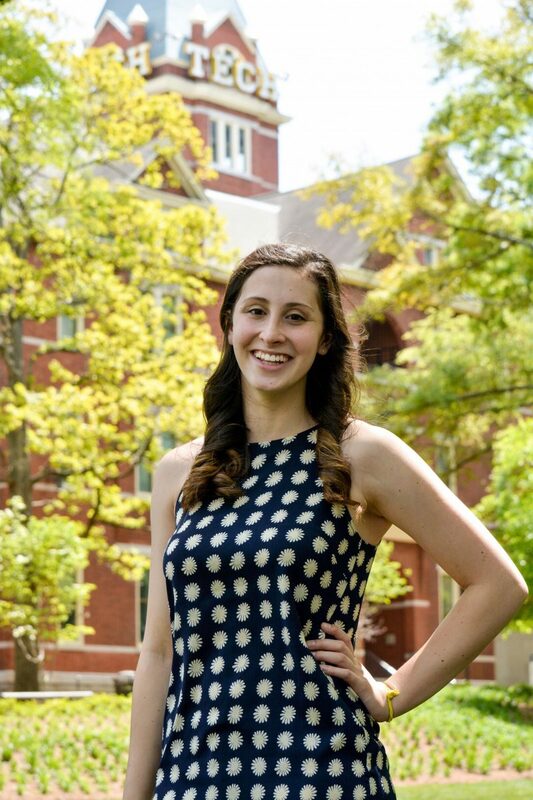 A native of Nicholls, Georgia, she barely knew anything about the Institute before making a last-minute switch from attending Mercer University to accepting a Georgia Tech scholarship after a persistent bid to recruit her. “I thought that if they were going to put this much effort into recruiting me, I was going to give it a shot,” Tanner remembers. However, the academic challenge was initially a shock for her. Soon after she started, a family friend told her mother that she should bring Tanner home because she was surely “in over her head” having come to Tech from a small-town high school. Tanner then posted the saying “Keisha is in over her head” on her dorm room wall, not as an admission of defeat, but as a challenge that she would emerge from successfully. “It was exactly what I needed to hear. I’m a little competitive, so it was on!,” remembers Tanner, who found time to be a cheerleader for the Atlanta Falcons, dance for the Georgia Tech band, and serve as Miss Atlanta 1994. BP acquired Amoco in 1998, so Tanner has effectively worked for the same company for her entire career to date. One of Tanner’s favorite positions was the year she spent as an operations engineer on a tension-leg platform.“I’m a hands-on person, and the experience really helped me understand how an offshore facility runs and learn how to communicate with the operators,” she says. 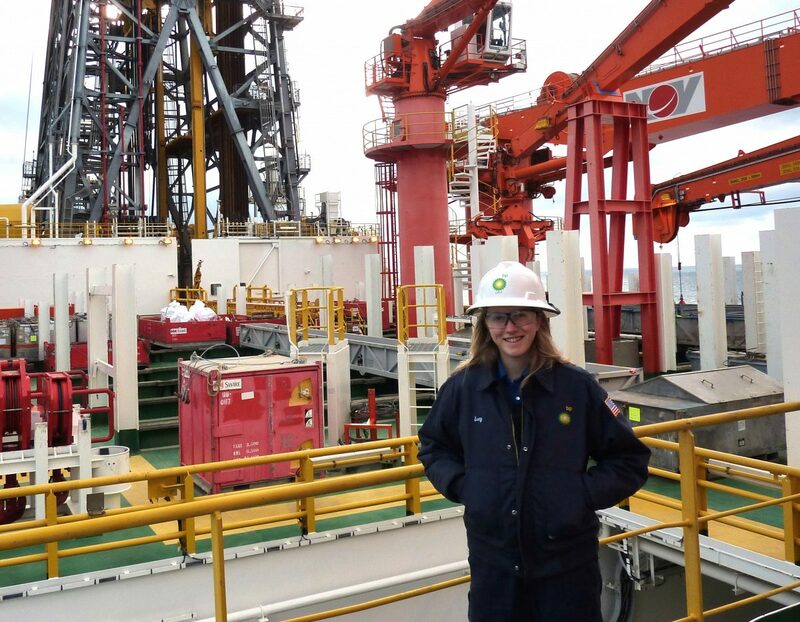 These days, Tanner spends most of her time on dry land in Houston, Texas, as the area team lead for Thunder Horse, BP’s largest facility (the size of three football fields) in the Gulf of Mexico. She is responsible for integrating drilling and completions, operations, and major project activities to inform business strategy and deliver value. This is the type of career advice she offers to undergraduate engineers as BP’s Georgia Tech Campus Champion for job recruitment.